Monday marked day one of a five-day strike for 4,000 Kaiser Permanente mental health clinicians and other healthcare professionals across more than 100 California hospitals and clinics. The National Union of Healthcare Workers organized the strike. The NUHW says it has been in contract negotiations with the massive, Oakland, Calif.-based not-for-profit health system since June. The union says Kaiser has rejected therapists' proposals to boost staffing and end long waits for therapy appointments, while Kaiser says it has hired more than 500 new therapists in California since 2015. The NUHW says Kaiser has offered lower raises relative to its coalition of unions, has declined to compensate for denying some workers' raises between 2011 and 2014 and has refused to restore pensions to recently hired workers in Southern California. John Nelson, Kaiser's vice president of communications, countered in a statement that Kaiser is the highest-paying employer for mental health workers in California. 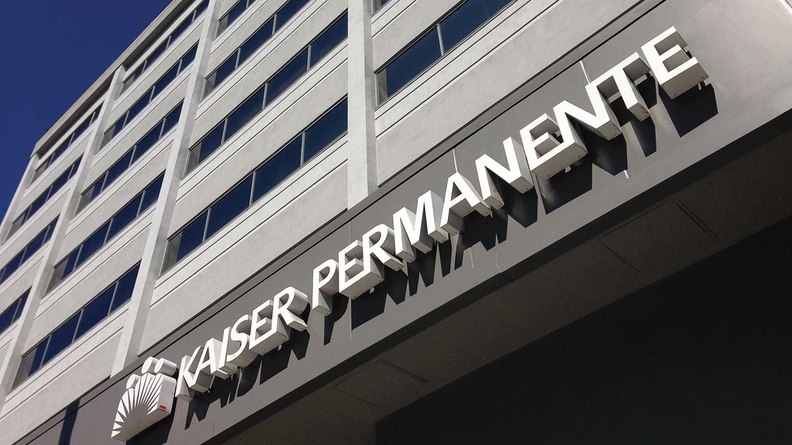 The union said it reached a contract with Kaiser in 2015, but that Kaiser has since failed to make necessary changes to working conditions and access to care. "If Kaiser is serious about being a leader in mental healthcare, it needs to get serious about listening to its mental health clinicians and using its ample resources to properly staff its mental health services and provide the care that patients need," Linda Matthews, a Kaiser licensed clinical social worker in Rancho Cordova, said in a statement. State regulators fined Kaiser $4 million in 2013 over problems that led to delayed access to mental healthcare for patients. In 2015, the same agency issued a follow-up report outlining continued issues. It's been a long-standing conflict area between the health system and NUHW, which also held a weeklong strike in 2015 during contract negotiations. This week's strike includes psychologists, therapists, social workers, psychiatric nurses and addiction medicine specialists as well as other medical professionals. Kaiser's Nelson said the union's demands are not about improving care and access and would in fact reduce the availability of mental healthcare for patients. NUHW seeks to reduce the amount of time caregivers spend with patients from an average of 75% of the time they agreed to under the 2015 contract, Nelson said. He said the union's demand that Kaiser stop working with community therapists would also impede access. "In the union's words, they are trying to "shut down mental health services" this week," he said. "This is irresponsible and dangerously insensitive to people in need of care." In contract negotiations, Kaiser is offering wage increases that would keep its therapists among the best compensated in their profession, Nelson said. "We value our therapists and are calling on them to talk to their union leadership and urge them to bargain constructively, and stop putting our patients in the middle of their contract demands," he said. The union has led a social media campaign called "Kaiser Don't Deny," including a video featuring Kaiser psychologist Kent Coleman describing the access barriers his patients face. NUHW also placed ads on Bay Area trains and organized a community forum featuring former U.S. Rep. Patrick Kennedy. Workers also distributed flyers at Kaiser facilities ahead of the strike.